Artificial Intelligence has taken the whole world by storm. With so many invaluable endowments of AI, it is hard to extrapolate the immense potential of this state-of-the-art technology. Out of hundreds of applications and use cases of AI, chatbots are creating quite a stir these days. These are being used in a large number of web and mobile applications. You might have come across a website where a small chat window pops up every time you open it. That’s where you can enter your queries but not only that, it will talk to you like a human and answer to all your queries instantly. That’s what all these chatbots do. 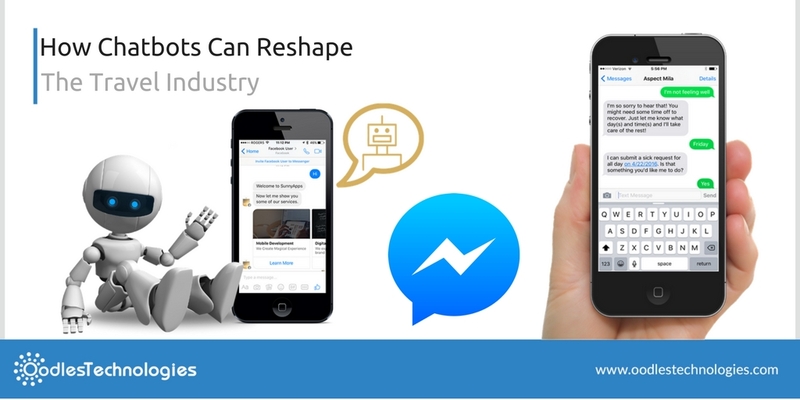 As exciting as it sounds, there are now chatbots available for a wide range of applications. For instance, there are several weather reporting apps that use chatbots and many other health checkup apps have also integrated with the chatbot facility. However, the use of chatbots has shot up in travel apps quite recently. There are many travel apps that offer real-time bot interaction to the users for responding to their queries and assisting them in creating an ideal itinerary. Several travel booking apps like Kayak and Expedia are already offering bot interaction to their users via Facebook Messenger and there are many other similar apps that let you do the same. In this blog, we’ll talk about some of these travel apps that are turning the tides these days. So let’s get started! Also read Big Data And Artificial Intelligence For A Better Future. Developed and launched by Mez Mobile Inc., Mezi is your personal assistant for travel, food and shopping. You can use this app for booking flights, hotels and finding nearby shopping destinations. Unlike many other travel apps, Mezi uses AI powered virtual assistant to answer all your queries and alleviate the complexities involved in the booking process. Furthermore, the Mezi app helps you make an ideal itinerary based on your travel plans. Just tell Mezi where you want to go and what you want to do and it will devise a perfect travel itinerary for you. Apart from that, the app uses Machine Learning to identify your preferences and then it shows results based on your liking. So the more you chat, the easy it gets to use the app. SnapTravel is another similar app that lets you find best deals on travel bookings via many third party apps. Based on your search preferences, the app finds ideal hotels and cheaper flights in a matter of seconds. To make the process more convenient, the app offers real-time bot interaction via SMS, Facebook Messenger and slack. The SnapTravel app uses an expert combination of AI and human intelligence to search best deals for you on over 100 different travel booking websites. Hello Hipmunk is an all new travel assistant launched by the global travel booking website called Hipmunk. It was in beta stage for the past several months but now the app is available worldwide. Hipmunk is a fun and easy way to make your travel bookings. The app features a cute chipmunk monkey as your personal travel assistant. The app utilizes chatbots powered by Facebook Messenger, slack and skype. So you can use any of the three messaging platforms to talk to the chipmunk monkey who will answer to all your travel related queries.